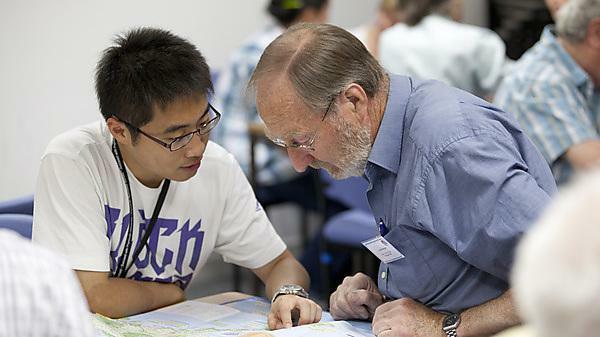 One of the most important people you will meet while you are a student is your Personal Tutor. They are there to be a point of contact for you to help you make the most of your time at university. From discussing your personal development and providing you with general academic guidance, to monitoring your progress and writing a reference for you. How can I find out who my Personal Tutor is? At the start of the academic year, your personal tutor will get in touch by email. You can also find the name of your Personal Tutor on our portal. Alternatively, you can contact the Senior Personal Tutor for your School. Their contact details are located on your school page above. When will I see my Personal Tutor? Your Personal Tutor will contact you to arrange a meeting within the first few weeks of your university course. If you miss the initial meeting, please contact them for an appointment. After that, you should meet them at least once a term (three times a year), but you are welcome to drop in to see them between meetings if you wish to talk about any academic or personal issues that are affecting you or ask their advice. What issues can I raise with my Personal Tutor? You are welcome to talk to your tutor about anything that affects your university studies. These may be academic or personal issues. They do not need to be problems – you may wish to ask about personal development opportunities, to discuss options in your studies or career opportunities. If your tutor is not able to give you informed advice, he or she will refer you to other university services to ensure you get the most appropriate help and support. How can I work best with my Personal Tutor? You should try and build a solid relationship with your Personal Tutor from the start of your studies. Please make sure that you answer all communications from your tutor, and that you make the effort to meet them. Keep them informed of your progress and any issues you may be facing. They need to get to know you in order to be able to support you effectively and to provide you with a reference when you need one. For more general information take a look at the University's guide to personal tutoring.